If you’ve studied storytelling, either in books, in plays or in cinema, you may have noticed the concept of Turning Points. It’s the point in the story where something suddenly changes and the course of the narrative has to continue on a new path. It’s different to the Reveal, where the story opens up and even diverges. 1. Reveal: Darth Vader and his Stormtroooers board Princess Leia’s ship and search for the plans she hides in R2D2. The Turning point comes when C3PO decides, against his better judgement, to use the escape pod. 2. Reveal: R2D2 plays part of the message from Princess Leia, Luke realises the droids were involved in the Rebellion. 3. Reveal: Ben Kenobi reveals that Darth Vader killed Luke’s father and asks Luke to join him on the quest. Luke refuses. 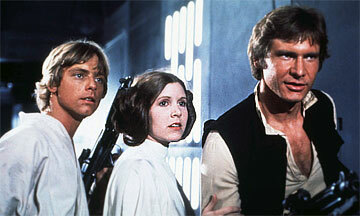 The Turning Point comes when Luke discovers his Uncle and Aunt murdered. Now he must join Ben. 4. Reveal: We are introduced to the dangerous world of Han Solo. The Turning Point comes when we learn that Alderaan has been destroyed by the Death Star and a tractor beam pulls the Falcon in. Now they can’t simply deliver the plans to the Princess and have no idea what to do next. 1. 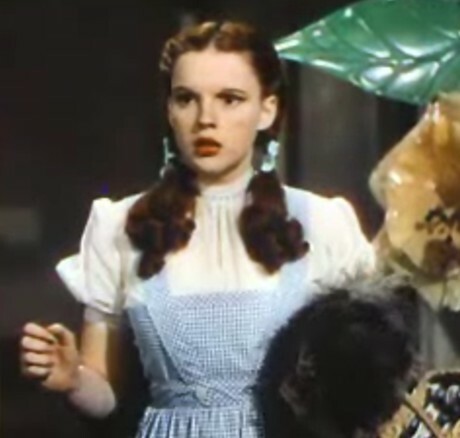 Reveal: Miss Gultch wants to take Toto away and Dorothy runs away from home. 3. Reveal: Dorothy learns there are good witches and bad witches and the Witch of the East is dead. 4. Reveal: there is an even worse Witch. The Turning point comes when Dorothy can’t get the Ruby slippers off and must ask the Wizard of Oz for help to get home. Let’s assume your book will have a total of 40,000 words. Let’s split it into three Acts’ or Parts of 10,000 words each. Each Part has four chapters of 2500 words each. Each chapter has at least one major Reveal and alternative chapters need a Turning Point. With Parts 2 and 3 following the same structure. You might be saying that I’ve just spent a proportion of this book going on about the non-linear nature of our books and yet here I am comparing them to a story narrative that is clearly linear. The truth is that both work but the ultimate method is to get them to both work at the same time. So the book can be dipped into (unlike a story) but if it is read from beginning to end, the Reveals and Turning Points are there to drive the reader on. The Reveal is a startling piece of information that opens up the material. It adds depth and detail, drawing the reader in. This is the facts and examples that they learn from. It’s you showing the many ways of doing things. The Turning Point is the shocker, the twist that closes down the material. It’s the part where you tell them there is only one way of doing things. It’s where you catch the reader out by showing that things are not as they seem. You need just one Turning Point per 5000 words. Too many Turning Points can get tiring and confusing. You need at least one big Reveal per 2500 words. There’s always room for more Reveals.